Have you ever had a video but just wanted the audio from it? 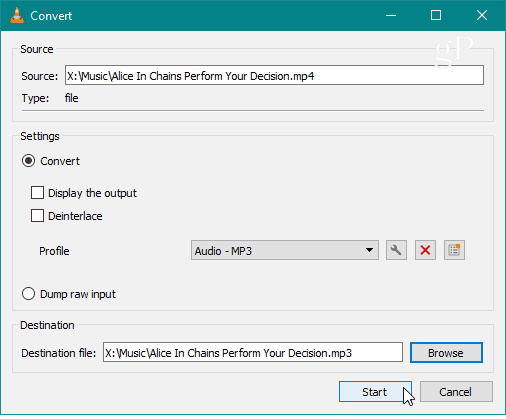 Here is how to extract just the audio from a video and save it as an MP3 using VLC. Have you ever had a video file, but just wanted to have an MP3 of the audio from it? Maybe you want an audio copy of a musical artist’s live performance, the audio from a panel discussion you recorded, or audio from a video someone took on their phone and sent you. 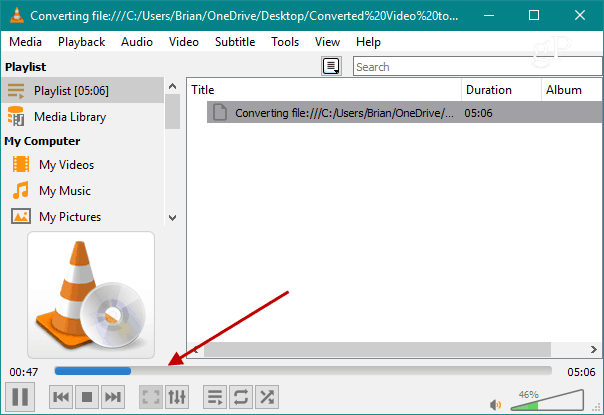 Whatever the reason, if you just want the audio from a video file, here is how to get it using the free VLC app. 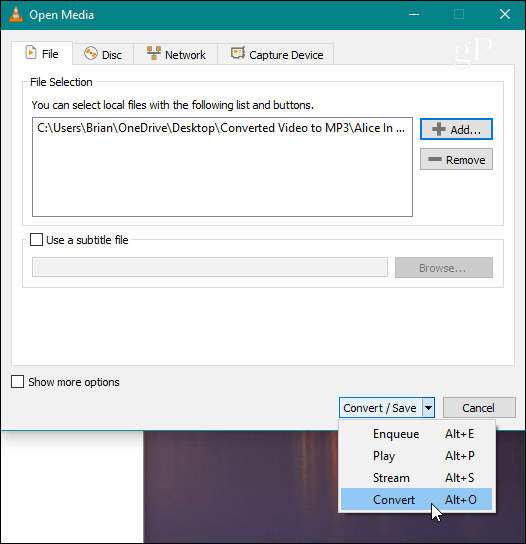 Open VLC and go to Media > Convert/Save. Next, in the Open Media window, click the Add button to browse to the video file you want to convert. 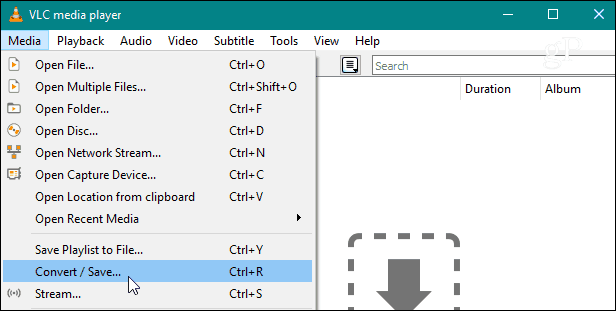 Then at the bottom of the window hit the drop-down menu and select Convert from the menu. 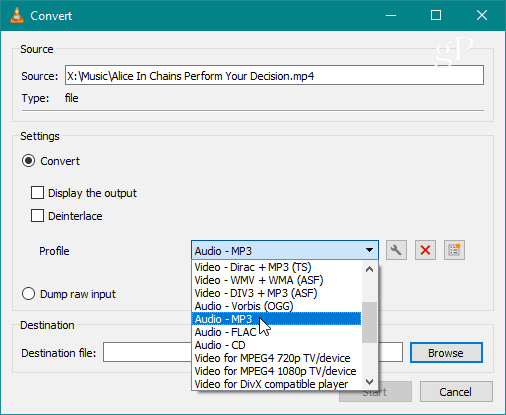 In the convert screen, choose Audio – MP3 from the “Profile” drop-down menu. You’re all set. Now just wait for the file to convert. You will see VLC is converting the file to the destination folder you selected, and there will be a progress bar at the bottom you can monitor for when it is finished. You won’t get any special message from VLC letting you know the file conversation is complete. The progress bar will simply disappear from VLC when finished. The amount of time it takes will vary depending on the length and size of the video file. Open the destination folder you chose and there you will find your MP3 file with just the audio from the video. That’s all there is to it! Now you can take that file and put it on your phone or whatever device you want to listen to it on. It’s also worth noting that you can convert it to another format than MP3 is you need to. One the “Convert” drop-down menu there are also formats like wav, flac, and ogg. VLC is capable of so much more than just playing any media file format you throw at it. We recently covered how to how to record your webcam with it. 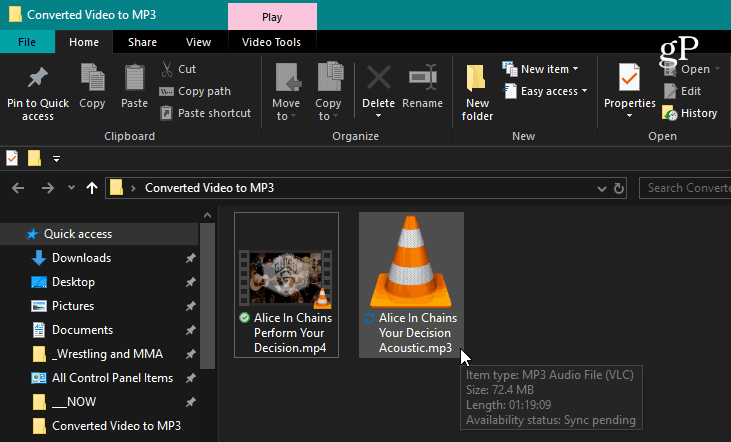 And for even more, check out our article on five things you didn’t know you can do with VLC.